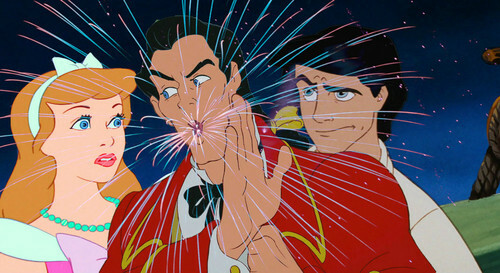 Gaston spits Fireworks!. Sorry for using the same picture...I was messing with it on Pixlr, and this effect's placement had me laughing hysterically. Their facial expression are en point as well!. HD Wallpaper and background images in the डिज़्नी क्रॉसोवर club tagged: photo disney gaston cinderella eric.